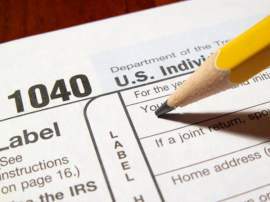 What is Your Federal Tax ID For? What You Should Know About the Commerce Clause? What is Tax Form 8863? What Does Flat Tax Apply To? 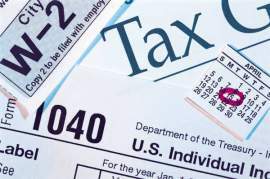 What are the 2009 Tax Brackets? How Does the Government Use Tax Cuts? What are Above the line Tax Deductions? What Do Job Deductions Include? 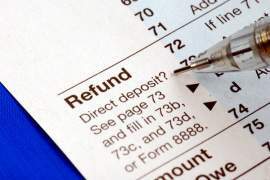 Can I Amend My Tax Returns? 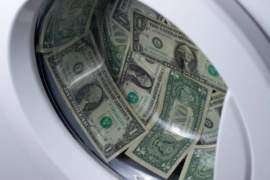 What is a Tax Write Off? Are You Qualified for the Child Tax Credit? What is the Working Tax Credit? What is the Historic Preservation Tax Credit? What is Company Car Leasing? What is the DVLA Car Tax? What is a Tax Exempt Form? What Transactions are Subjected to Sales Tax? What is a Gross Estate Tax? What is an Import Duty? What is Title 19 of the US Code? What is a Toll House? What Can Be Toll Free? What is an IRS E-file? How Can Income Tax Software Help You? What is Instant Tax Software? What was the Declaratory Act of 1766? The Declaratory Act of 1766 was an act promulgated by the Parliament of Great Britain that repealed the Stamp Act of 1765. The Declaratory Act, in essence, was a way for the British Empire to safe face in the wake of the disturbance, by American colonists, caused by the Stamp Act. Aside from repealing the Stamp Act it declared the rights and authority of the British Empire to control the Colonies by stating that Parliament "had, hath, and of right ought to have, full power and authority to make laws and statutes of sufficient force and validity to bind the colonies and people of America…in all cases whatsoever." The Stamp Act of 1765 was an Act; promulgated by Parliament, that established a tax on the American colonies. The Act was one of many that the British created to help rebound from the debt that the country had amassed during the 7 years war. The Stamp Act of 1765 required that all paper products used in the colonies had to contain a stamp that signified that it was legal tender. The products included newspapers, magazines, playing cards, etc. It was a lucrative proposition for the British because there was guaranteed revenue and little to no enforcement was necessary. If a document was to be deemed legal, in the eyes of the British government, it had to have a stamp. The Stamp Act was also used as a way to keep colonists from attaining any sort of power. There was a 10 pound tax on attorney licenses and college students were taxed heavily for their documents. This was because the British government felt it necessary to limit the growth of professionals and learned people in the Colonies. The revenue from the Stamp Act was specifically set aside to pay for the distribution of thousands of British military troops who were stationed in the Colonies. 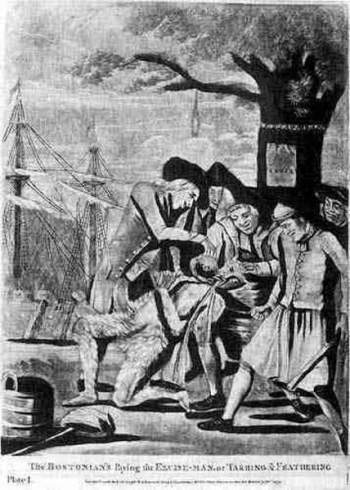 Like the other Acts enacted by the British Parliament in the 1760's; such as the Molasses Act of 1733 and the Sugar Act of 1764, the colonists found the act oppressive. The colonists had no representatives in Parliament and had no say in how taxes were to be levied and what for. The colonists described the situation as "taxation without representation." The colonists also resented the idea that they were paying the salaries of the same military personnel that were enforcing the laws the colonists found ethically wrong. Almost immediately after the passage of the Stamp Act the Virginia House of Burgesses convened to discuss the reaction to its passage. In response to the Stamp Act Patrick Henry, a representative of the Virginia House of Burgesses drafted a letter stating a number of things, including: that the Royal charter to the Colonists declared that the colonists were entitled to "all liberties, privileges, and immunities of denizens and natural subjects" as if they were citizens of England themselves; that the power to tax, collect taxes, and decide on spending of those taxes should be put in the hands of the people who are most knowledgeable about the needs and abilities of the taxpayers, namely the colonists themselves; and that the British government has, for years, operated under the ability to use the colonists as they see fit and that the rights of the colonists should be recognized. In response to the Stamp Act colonists began forming mobs and rioted in the streets. In Massachusetts the stamp collector there was constantly harassed. His likeness was hung in effigy from a tree in the middle of town and was later beheaded and burned in front of the home of the stamp collector before the mob invaded the house and destroyed much of the property. In late August of 1765 a mob assembled on the steps of the Lieutenant Governor of Massachusetts home. They invaded the home and burned it to the ground. After word spread of the acts of violence taken in defiance of the Stamp Act many refused to enforce it. Businessmen and judges were coerced into ignoring the Stamp Act and in New York, upon the arrival of a cargo of stamps pamphlets were handed out stating "the first man that either distributes or makes use of stamped paper let him take care of his house, person, and effects." New York merchants met on October 31 and agreed not to sell any English goods until the Act was repealed. In October of 1765 the first stamp act congress convened in New York to discuss the issue of the Stamp Act and the continued taxation of the American colonies. The congress met for 12 days to draft a response to the Stamp Act that was deemed appropriate. In all 27 delegates from throughout the colonies met with the result being The Declaration of Rights and Grievances. The declaration raised 14 points of colonial protest over the repeated and unwanted taxation by the British government. It asserted that the colonists possessed all the rights associated with being an English citizen and, as such, they could not be taxed without being properly represented in Parliament. It went on to state that only the colonial assemblies had the right to tax the colonists. The Declaration of Rights and Grievances was intended to inform Parliament that, not only were the underclass upset about the Stamp Act, but so were the middle and upper class members of the American Colonies. In 1766 Parliament issued the Declaratory Act. It was drafted in large part to the failure of the Stamp Act. In a way it was the British Parliament's way of saving face after their inability to enforce the Stamp Act. While it repealed the Stamp Act, the Declaratory Act of 1766's main purpose was to reinforce the idea that Parliament had the right and authority to do as it wished when concerning the governing of the Colonies. The Declaratory Act was a major precursor to the taxes that would follow in the near future that would lead to the Revolutionary War. Numerous impositions soon followed including the Quartering Act, in which British soldiers stationed in the Colonies were permitted to be boarded in the colonist's homes at the expense of the colonists. Parliament also introduced a number of taxes that would essentially tax all goods used by the colonists. These were commonly known as the Intolerable Acts.